Can you describe the purpose of your investment strategy? This is an important question for all investors to be able to answer. It's not just about beating a benchmark or achieving a high rate of return. While it can certainly be part of the conversation, at Holistic Wealth Advisors it centers around one key word - purpose. What is the purpose and goal of your investment strategy? Do you have one? If you don't know the answer to this question, the team at Holistic Wealth Advisors is here to help you figure that out. At Holistic Wealth Advisors the core of our wealth management approach revolves around customized investment management. We believe each client has their own unique financial personality. Do you know your financial personality? For many people this is formed at an early age and is based upon your own individual experiences. We start by gaining a deep understanding of our clients financial personality so we are then best positioned to design the right investment strategy for their specific needs. Since 2002, we have resisted the trend that many investment advisors have embraced; a one-size fits all approach. Our philosophy purposely rejects this "cookie-cutter" approach to investment management. Flexible, transparent and simple - words that describe our approach to investment management. Far too often, the world of investments can be a source of stress and anxiety for many investors. 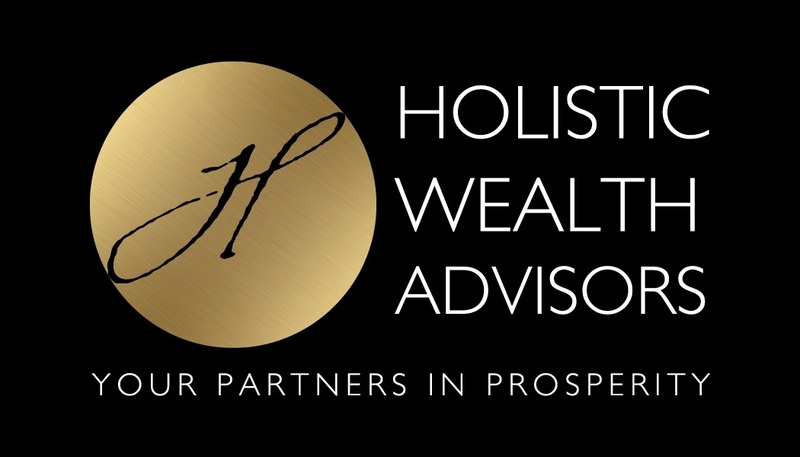 At Holistic Wealth Advisors, we pride ourselves on spending the time necessary with our clients to make sure there is a strong understanding of our philosophy and approach so clients can be confident in our strategy. In the ever changing world of investments we continually make sure that our investment strategy evolves with current trends but also changes in the clients financial journey of life. Choosing the right investment advisor to be your long-term partner is critically important. Finding the right fit is essential so that you have confidence in the level of experience and knowledge of the team working for you. To search our regulatory filings and see our clean background check reports, you can search our names at https://brokercheck.finra.org/. As a local independently managed wealth management firm we have access to sophisticated tools to help build robust, efficient and diversified portfolios for our clients. With access to many major institutional investment firms we can access and build portfolios using individual stocks, exchange-traded funds, bonds, laddered municipal bond portfolios and mutual funds. Our solutions can provide portfolios for 401k rollovers, IRA’s, 403(b), 457 plans, Roth IRA’s, Trust’s, College 529 plans, and many other types of account registrations.